FBAR stands for Foreign Bank Account Report, and refers to TD F90-22.1 Report of Foreign Bank and Financial Accounts. In mid-2013, the form was renamed, and is now called FinCEN 114. Whatever number it goes by, it must be filed by "U.S. persons" if the person has an interest in, or signatory authority over a foreign financial account, and the aggregate value of those accounts exceeds $10,000 at any time during the calendar year. An FBAR is authorized pursuant to Title 31 of the Bank Secrecy Act, which is not part of the Internal Revenue Code. The FBAR was due on June 30th for all years prior to 2015. In 2015, as part of the Surface Transportation and Veterans Health Care Choice Improvement Act of 2015, Congress changed the due date to April 15th, and provided for the first time the ability to request an extension of six months to October 15th. Since it is not filed under the Internal Revenue Code, it must be RECEIVED by the IRS on or the due date or else it is late. It is not sufficient to simply mail it by that date! Beginning July 1, 2013 all FBARs must be filed electronically. Generally this refers to FBARs for 2013 which were due by June 30, 2014. Even late-filed FBARS for prior years must be filed e-filed. The due date for the FBAR filing is not extended by filing an extension of time to file your tax return. Previously it was not possible to request an extension of time to file an FBAR. As noted above it is now possible to obtain an extension, however, as of this writing, the IRS has not issued any rules as to whether the extension to file a tax return will also be treated as a request for an extension of time to file an FBAR. It is unknown whether the IRS would assess a penalty for an FBAR that was filed a few days late, but it would be better not to be the test case. A U.S. person includes U.S. citizens, as well as permanent legal residents, i.e. green card holders. U.S. persons also include legal entities such as partnerships, corporations, and LLCs formed under U.S. law. It also includes trusts or estates formed under U.S. law. Certain days are not counted pursuant to a set of complicated exceptions. Certain persons may also be exempt from this test. The rules for filing FBARs were slightly different before the Financial Crimes Enforcement Network (FinCEN) issued new regulations that were effective March 28, 2011. 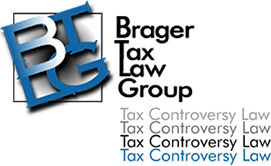 If you are unsure of whether or not you need to file an FBAR, you should consult with a qualified tax lawyer who has experience with FBARs. The answers can be tricky, and the penalties for not filing can be extremely expensive.